Present day: Icie is a typical high school teenager - until disaster strikes and her parents send her to find shelter inside a mountain near Las Vegas. The future: Beckett lives on The Mountain - a sacred place devoted to the Great I AM. He must soon become the leader of his people. But Beckett is forced to break one of the sacred laws, and when the Great I AM does not strike him down, Beckett finds himself starting to question his beliefs. As Beckett investigates The Mountain's history, Icie's story is revealed - along with the terrifying truth of what lies at the heart of The Mountain. 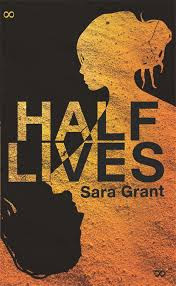 Sara Grant's HALF LIVES is a dystopian chronicle of the journeys of two unlikely heroes in their race against time to save future generations. I’m like that annoying toddler who keeps asking, why? But why? Why? Why? Why? For me writing is equal parts imagination and exploration. My new teen novel Half Lives is a story told in two voices from a pre- and post-apocalyptic time – challenging the nature of faith and the power of miscommunications but most of all the strength of the human spirit to adapt and survive. Icie is a typical teenager, until disaster strikes. Her only hope of survival is escaping to a top-secret mountain bunker. Hundreds of years later, 18-year-old Beckett leads a cult that worships a sacred Mountain. But Beckett and his beliefs are under attack. Icie and Beckett must fight to survive. They are separated by time but connected by a dangerous secret that both must protect at any cost. • Survival – Not only what it might take to survive but how far you would go to save yourself and others. • Legacy – What are we leaving behind for future generations? How will they judge our way of life? • Faith – Everyone develops a belief system. For some it’s based on an organized religion. For others it’s grounded in superstition or history or logic. I don't write because I have all the answers, I write because I'm happy to endlessly ponder the questions. When I was a teen, I loved to stay up late and chat with friends about life’s big questions and mysteries. But sometimes I didn’t feel as if I had the vocabulary or the necessary education in politics, history, geography, philosophy, etc. to adequately discuss some topics. What I love about science fiction and fantasy stories is that they give readers the chance to discuss current issues in a way that’s not intimidating. Writing has always been a way for me to explore my world. When I was a teen I wrote stories and poems to discover what I was thinking and feeling. And that hasn’t changed. I still write to ask why, why, WHY? The only difference now is I get to share these topics with readers! I’ve created discussion sheets for Half Lives and Dark Parties on my web site, if you’re interested in a discussion. But Half Lives isn’t an ‘issues’ book. First and foremost, I hope readers are swept away by Icie and Beckett’s stories. Sara is an author of fiction for teens and younger readers and freelance editor of series fiction. She has worked on twelve different series and edited nearly 100 books. Dark Parties, her first young adult novel, won the SCBWI Crystal Kite Award for Europe. 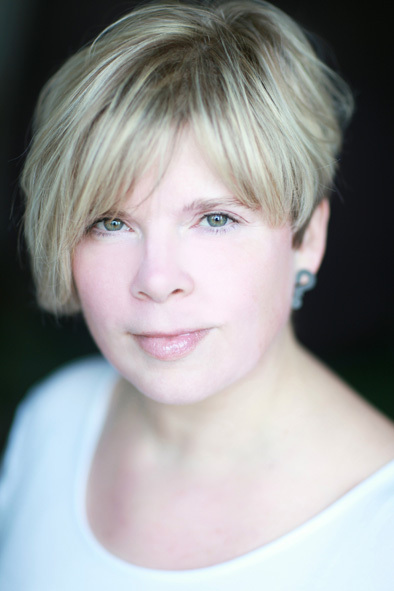 Her new novel for teens – titled Half Lives – is an apocalyptic thriller. She also writes – Magic Trix – a fun, magical series for younger readers. Sara was born and raised in a small town in the Midwestern United States. She graduated from Indiana University with degrees in journalism and psychology, and later she earned a master’s degree in creative and life writing at Goldsmiths College, University of London. She lives in London.